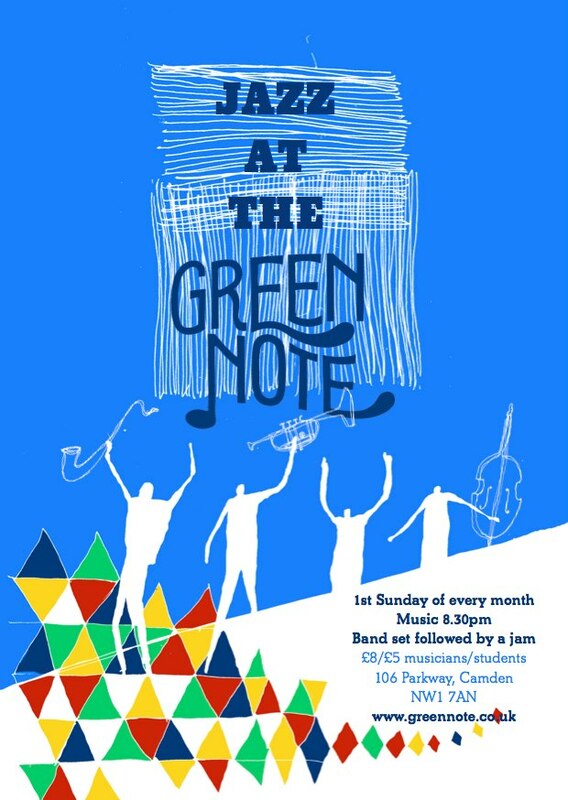 Very excited about our next gig this Sunday at the Green Note in Camden featuring Percy Pursglove on trumpet and flugelhorn. The gig starts at 8.30pm and is followed by a jam. It’s a really nice venue. I went there last month when ‘Twelveheads’ were playing and then sat in at the jam afterwards!